Established in 1964, Stern Pissarro Gallery is co-owned by David Stern and Lélia Pissarro, great-granddaughter of Camille Pissarro. The gallery specialises in Impressionist, Modern and Contemporary art as well as Camille Pissarro and his descendants. Following the marriage of David Stern to Lélia Pissarro in 1988, Stern Pissarro Gallery in Mayfair has become an international family art business specialising in Impressionist, Modern and Contemporary masters. The gallery occupies a unique position in the global art scene, representing five generations of works by the Pissarro family. With the strongest collection of Pissarro works worldwide, the gallery lends extensively to international museums and institutions and has become a centre of research and expertise for the work of Camille Pissarro’s descendants. The gallery has delivered important exhibitions such as Marc Chagall: Master of Colour (2016) and Christo and Jeanne-Claude: A Life of Projects (2018). Stern Pissarro Gallery also exhibits in selected fairs each year such as Cologne Fine Art (COFA) and Brussels Art Fair (BRAFA). 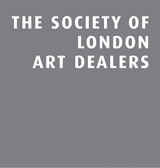 The gallery is situated in the heartland of the London art scene over two floors of the iconic Target House building on 66 St James’s Street, Mayfair. Designed by British architect Rodney Gordon, the building’s eye-catching bronze anodised aluminium cladding makes it a pinnacle of Modernist architecture and a landmark of the area. Our clients benefit from the extensive experience, intimate knowledge and passion of the gallery directors and their team. We can advise on all aspects of building and maintaining a collection, including framing and hanging, as well as providing unique insights into art market trends and opportunities. Combined with art-market expertise, scholarly art-historical knowledge, it is the cornerstone of the gallery’s approach.